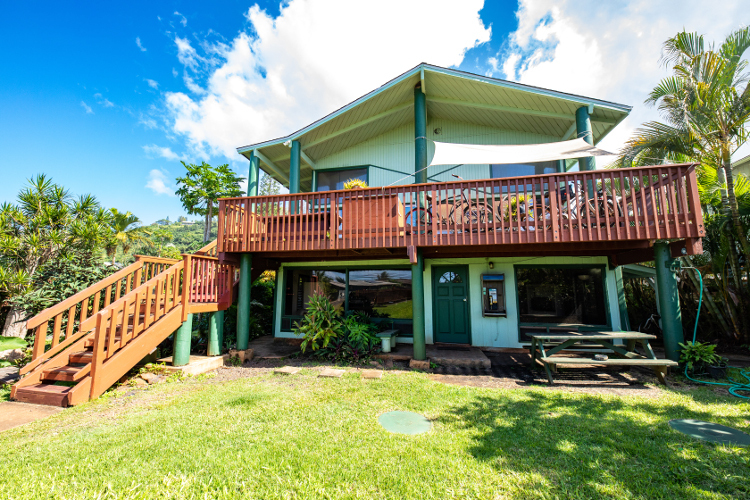 The Main House is located across the street from Pupukea Marine Sanctuary (The World Famous & Spectacular Three Tables Beach) and offers dorm style accommodation. It has two bathrooms and a large kitchen and lounge area. The kitchen is stocked with everything you need and there is also cable TV. Sheets are included and blankets are provided upon request. 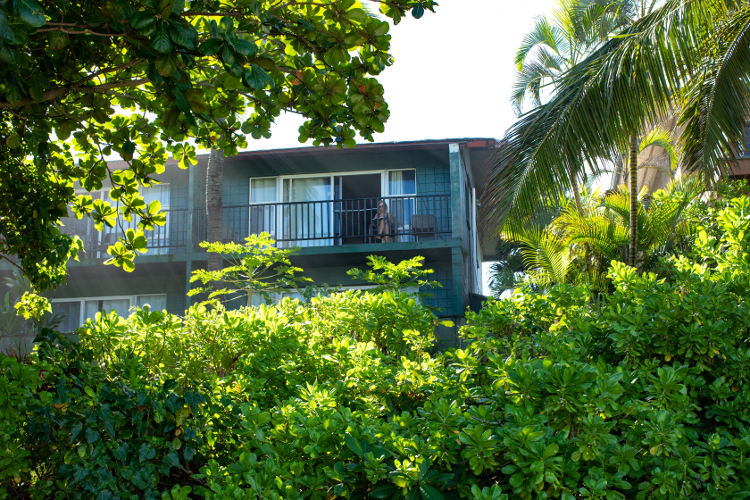 The Back House is a three story pole house located next to the Main House across from Pupukea Marine Sanctuary (Three Tables Beach). It’s a fun, funky redwood house with a tree house feel and beautiful views of the ocean. The outside decks wrap around the house providing a perfect spot to enjoy the amazing Hawaiian sunsets that the north shore is famous for. The Beach Building consists of private studios each containing of a single double bed, two beds, or bunk beds in unique combinations, perfectly suited for many types of travelers including a couple on retreat or a group of 4 singles. Each unit has a ensuite bathroom, fridge and sink including plates, cutlery, etc. Large studios have full kitchens. All you need is a beach towel and suntan lotion. Plantation Village consists a variety of rustic style cabins. 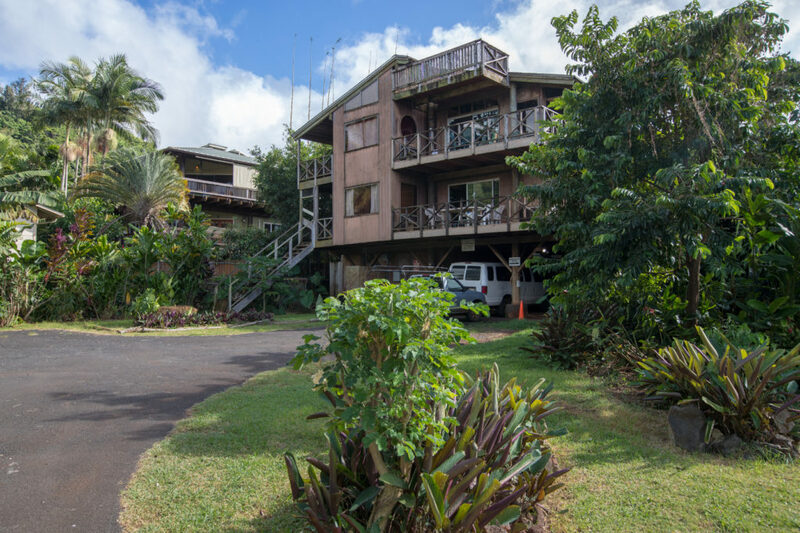 Located just down the street from the Main House (200 meters) and across the street from Pupukea Beach Marine Sanctuary (Three Tables Beach). 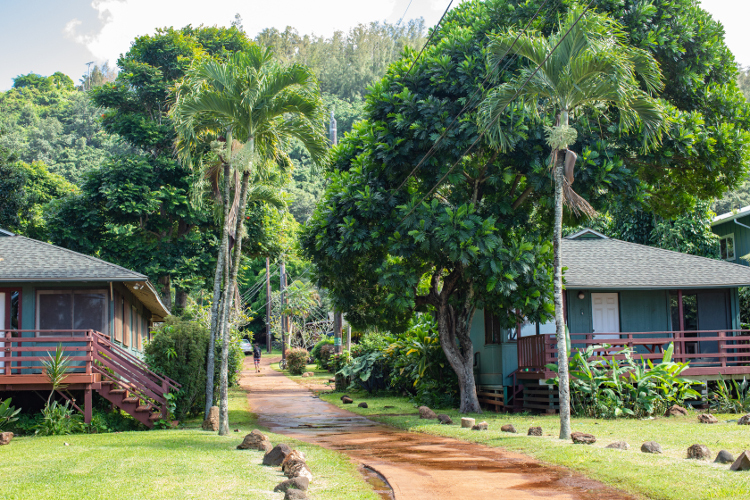 The cabins are nestled among Hibiscus, Bouganvilla, Bananas, Lilikoi vines, and Papaya trees on over an acre of lush tropical landscape. There are BBQ areas, a community lounge, and laundry facilities.